The Syrian internal opposition Hmeymim group congratulates Russia's ruling party after it succeeded in the country's 2016 parliamentary election, one of the group's leaders told Sputnik on Monday, expressing hope that Moscow could become one of the centers of the new multipolar world. 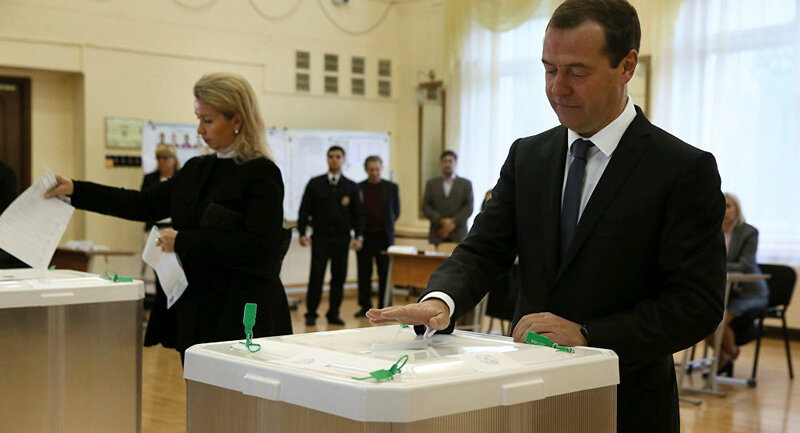 MOSCOW (Sputnik) — With 95 percent of the votes counted, the governing United Russia is leading with 54.19 percent of the votes, or 140 mandates, added to 203 single-constituency candidates from the party. "I would like to congratulate you from my name and on behalf of my party, the Syrian Social Nationalist Party, and the group on the successful elections. I want to congratulate all parties and people on the democracy in Russia. I especially want to congratulate the United Russia party, President Vladimir Putin and leader of the party Dmitry Medvedev on victory," Tarek Ahmad said. He expressed hope that Russia would become one of the centers of a new multipolar world which stands for stability and peace in the contrary to the US-led unipolar world. United Russia Party was established in December 2001 through a transformation of the Union of Unity and Fatherland national civic association into a political party. United Russia is a ruling party and has 238 seats in the 6th convocation of the State Duma.